On Tuesday I received a phone call from Utah. It was our trainer for the North American part of World Wide Support. She explained that she was unable to attend our Wednesday online training meeting, and asked whether I would be comfortable doing training on using the free Personal Ancestral File software to create books. I told her that I had given a lesson on that topic at our Family History Center a few months ago, and I was confident that I could do it. I asked how much time I would have, and she said to plan on 45 minutes. She suggested that I also include PAF's Advanced Focus Filter, and we discussed other things I might include. I mentioned that I had had a lot of trouble with my internet access on Monday, and this would be disastrous during an online meeting. I said I would plan to do the training from my son's house, where there was stable high-speed internet access. She agreed that it seemed like a good plan. I contacted my son, and arranged to be there before he left for work, so we could get my laptop connected to his internet before he had to leave. These two books are similar, except that one traces the ancestors back in time and the other traces the descendants forward, generation by generation. They are in the form of a narrative rather than a chart. e.g. “Leah Hock was born about 1695 in of Froxfield, Hampshire, England” You can choose whether to include notes, sources, photos, etc. These can form a “book”, but be sure to include the Cascading Pedigree Charts that go with them. The Pedigree Charts are a necessary road map. PAF has a large number of built-in lists that can be viewed or printed. Some (like Possible Problems) allow you to set the parameters. Preview: Always click on Preview to verify the output before printing the book. It saves on cheap paper and expensive ink! Print to File: This will send the output to an RTF word processor and open it instead of going to a printer. NOTE: The appearance of RTF data depends upon the word processor. The pedigree chart that looks so beautiful in Word will be gibberish in WordPad. So, if it looks good in Word, save it as a Word file! The index needs to be generated in the word processor. Create a Webpage: This creates a folder of linked HTML documents, that can be copied to a web host or dropbox Public folder for public viewing, or to your tablet or other mobile device. If you want to find everyone in your database who was born, married or died in Neepawa, Manitoba, it only takes 2 minutes. In the Search menu > Advanced Focus Filter > Define (select the criteria in the left-hand column and move it to the right-hand column, and you would normally select "And" to separate the criteria). Generating a custom report only takes an additional 5 minutes, once the individuals are selected. Landscape layout works best. Select the items you want included in the report, and select the sort order. Besides the usual output options, the custom report can be saved as a CSV file that can be opened as a spreadsheet. I received this reply "Bill, this is quite interesting. We just got android phones last week and it would be neat to have my PAF genealogy literally at my fingertips. "I don't find the place to create the html version of my database. Is this done within PAF software? This is new to me, but I'm a very experience PAF user so obviously I'm overlooking something somewhere." "Will I be able to scroll through the database, read my notes, and view pedigrees of all the individuals?" You will be able to read all of your notes and there are links to parents and children, but no pedigree charts. To create an HTML version of your PAF data, open the data file in PAF and then click Tools menu > Create Web Page > Selected Individuals > Select > All > OK > Next > input a name in the Description field > Finish. PAF will offer to let you view your new PAF website in your default browser. Please do that so you will see what it looks like. PAF will generate the website (a folder with hundreds of HTML files). The default location for the website folder is the "web" folder in your Windows MyDocuments (or Documents) folder. The name of the folder will be whatever name you put in the Description field when you generated the website. Getting the website to your Android phone becomes the next obstacle. My tablet comes with a USB cable that I plug into my Windows PC, so I can easily copy the website folder to my tablet. If your phone has a USB cable, use it. If it doesn't have a USB cable, maybe you can use Dropbox to copy it to your phone. i.e. Copy the website folder to the Dropbox folder on your PC and wait for it to synchronize with the Dropbox server, then open the Dropbox folder on your phone. (Make sure that the same Dropbox account is used on both devices.) Failing that, maybe you can Zip the folder and email it from the PC to the Andoid phone, then save and unzip it on the phone. My Buchanan family left Ireland in 1847, so what interest could I possibly have in census records from 1901 and 1911? We have found a perfect 67-marker Y-DNA match between our family and the Buchanan family of Kirlish, Drumquin, Tyrone. This family and various other Buchanan families from the area are in these censuses. How do we sort them out? Firstly I searched the 1901 and 1911 census for all people with surnames starting with Buchan, to include Buchanan, Buchannan, Buchanon, and other variations. But our family name is always spelled "Buchanan"! Not really, it was spelled however the clerk decided to spell it on that particular day! So I am trying to cover the bases. Then I copied and pasted the search results into an Excel spreadsheet for that particular census. Then I sorted the records by decreasing age (I want the parents listed first, then the children). Then I sorted by townland to separate the families. I now have all of the Buchanans living in Tyrone in 1901 listed by families, and the same for 1911. Now I need the help of local people (probably interviewed by Darlene and Virginia) to tell which families are related to each other and what the connections are. I hope David can get us started with this. 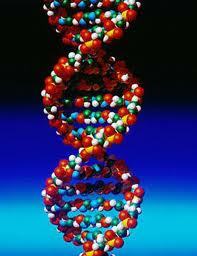 It is a way to maximize the benefits of a genetic match in terms of real people. "To DNA or Not to DNA? ", that is the question! I have been quite busy over the past while, with my usual family and genealogical pursuits. But one thing different has been looking at DNA studies undertaken by my Buchanan cousin Darlene. 1. Don't spend money on mitochondrial DNA (mtDNA) studies. Darlene discovered that she is of Haplotype H, like 40-50% of people of modern western European descent. mtDNA changes so slowly that you are talking in terms of tens of thousands of years. It seems to be mostly useful for mapping ancient population movement. Interesting perhaps, but not genealogy as such. If you already know your relatives, it may not have much value. 3. Y-DNA follows the paternal/surname line and changes relatively quickly. The 12-marker test may identify the general area of origin at best. It is most beneficial at the 67-marker level, which is specific enough that often allows the connecting of actual families, which is what we want. The hope is that we will be able to prove a genetic match to a family that has documentation that goes back many generations earlier than our own. In the case of my Buchanans we are still working on that, but hope to make further progress this summer.